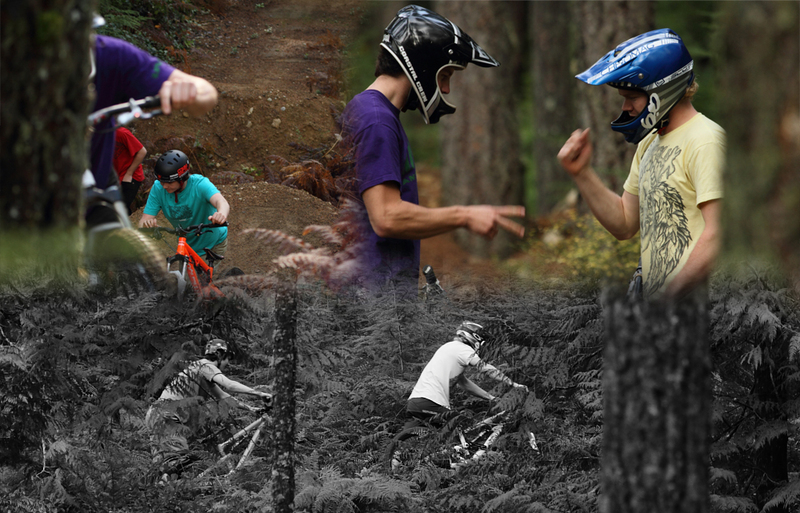 Coastal Crew Productions would like to proudly present the first of many webisodes documenting our lifestyle as passionate mountain bikers. We have a dialed zone where we had built some unique lines for our segment in Kranked Revolve. We as riders, builders and filmmakers felt that these lines deserved more than just a handful of shots in a movie. After all, this is our home and is the continuing scene for many afternoons of laughter and good times. One bright Saturday morning in October 2009, we decided to shoot our first webisode. Our goal was to give you, the viewer, a more detailed and rider influenced feel of the lines. Utilizing our new Canon 7d and incorporating the vision of both Dylan and Cal, we were all smiles for a day in the office. The key to all of our work is our work ethic. 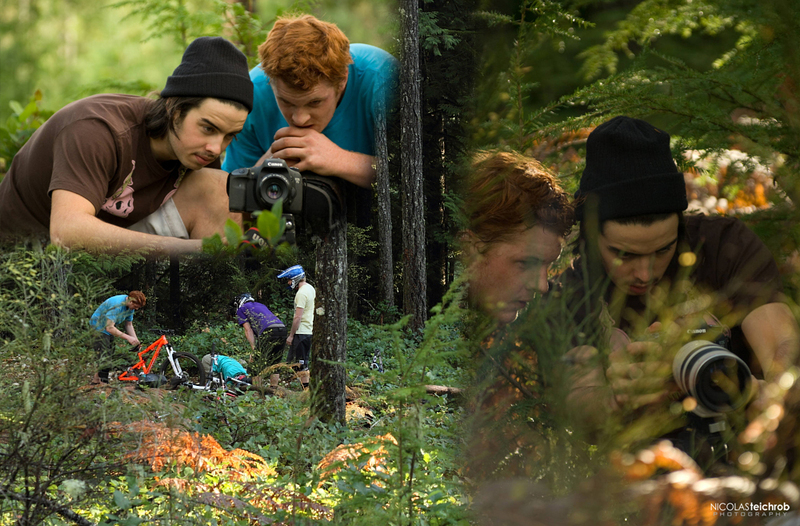 We have no budget but we do this because we want to push our creativity in terms of building, riding and film making, in order to show you what is possible when you have a great group of friends and a vivid passion for what you do. We are always looking for new ways to showcase what we do, whether it means getting into ridiculous positions to get the perfect angle or building a new piece of equipment to get the shot exactly how we see it in our heads. Another big part of our ethos is not forcing anything; we want you to feel like you are in the zone and hanging out just like you would do in your local spot with your friends. After a morning of unbelievable productivity we had already got most of the shots we wanted and Dylan was rapidly sequencing them while trying not to get his lunch all over his laptop. Just as we were heading back up, our good pal Brendan Howey showed up and because we like him and he has a bright orange bike we brought him up to rip for the afternoon. Another rider always means more fun and before we knew it, the light was fading and the shoot was wrapping up. Another great Saturday on the Coast, riding hard and playing in the dirt. We hope you enjoy it! So awesome guys! Can't wait to see more.